If you’d like to order a ring from this website but aren’t sure of your ring size, this handy reusable ring-sizing gauge will help. The Multisizer Ring Gauge works very much like a belt. 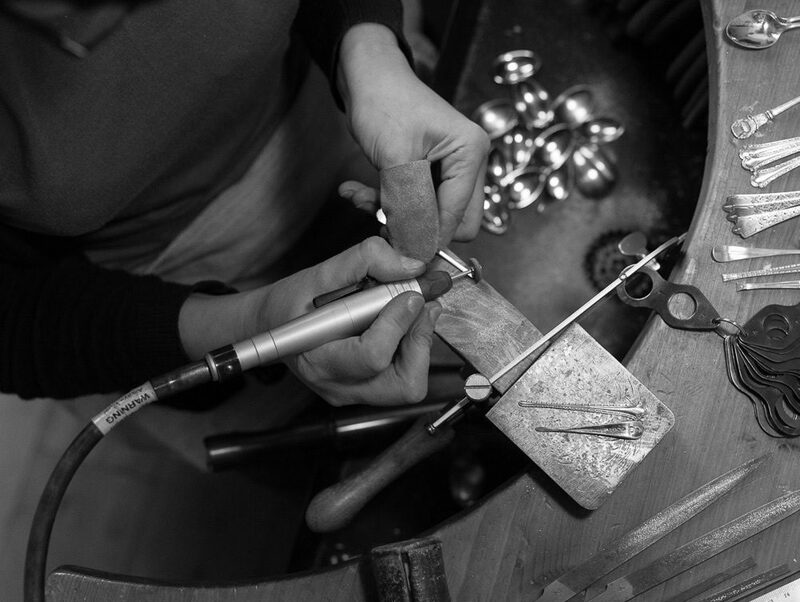 Simply push the end though the buckle to form a ring shape then slip it over your finger. Adjust to a comfortable fit making sure that it can still slip back over the knuckle and then read off your size indicated by the letter the arrow points to. Finger sizes vary throughout the day and day-to-day. They tend to be more slender in the morning when you’ve been lying down but will swell slightly when you’re up and active. Also with warmer temperatures etc. So it’s best to measure at various times of day and over several days to find a size that’s all-round comfortable. 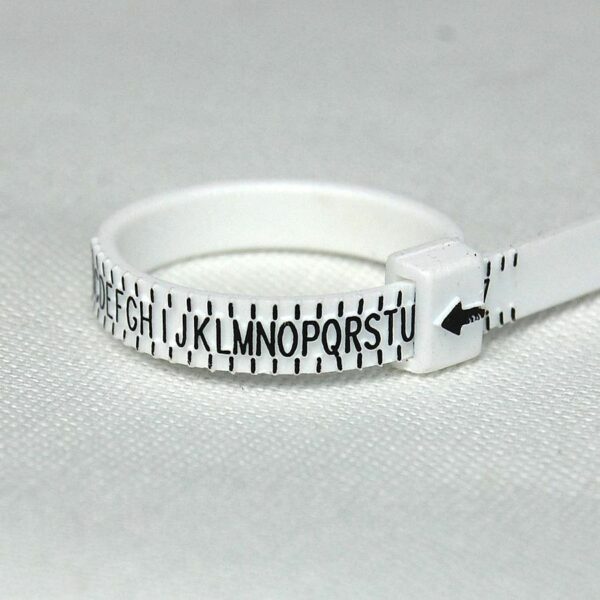 Please note – this ring sizer shows UK ring sizes only, which are indicated by letters of the alphabet. All rings listed on this site use the same letter siing system. Please select the ‘Extras Shipping’ option at checkout for standard shipping.